Recently, I've been going to numerous desserts review, which should be a really good thing if I'm a big fan of iced drinks and desserts. Anyway, this round I had the opportunity to be invited by Benjamin for a round of desserts and snacks over at UFO Desserts & Drinks in SS2 Petaling Jaya with a big group of other bloggers. Reaching UFO Desserts at around tea time, I couldn't help but think to myself it was the perfect time to have a cold drink with some snacks, which was exactly what I got. Talk about my thoughts coming true! The outlet itself was rather normal except for some unique concepts inside the place. Drinks, desserts and snacks prices were displayed prominently in full view for their customers along with banners containing photos of UFO's desserts and drinks. One thing that I found really interesting about UFO Desserts, and its actually their trademark item would be their ordering tag. Instead of just taking a number in paper form, UFO Desserts gives out this rather cute UFO shaped buzzer which vibrates when your order is ready for collection at the counter. Now this is really unique, at least to me. It was rather fun just ordering anything off the menu, which the owner graciously offered to let us do. Feeling rather excited, we ordered the desserts we found interesting and would like to try out while getting those unique UFOs to be placed on our tables. It was rather cute the way the UFO vibrates when our snacks and drinks were ready. Check out below on what we had for the day. 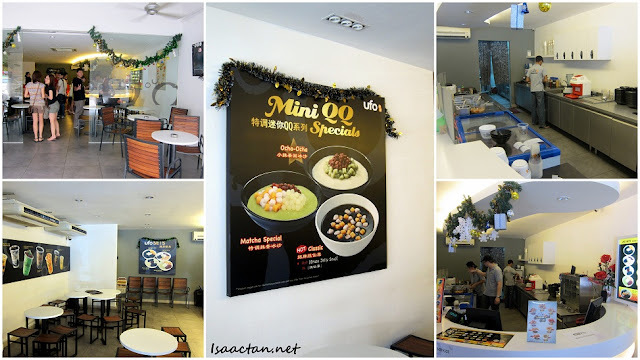 Somehow, I really like it when a desserts outlet serve snacks or finger foods as well, because I always feel it is good to have some food to go along with those shaved ice and drinks. UFO Desserts to my delight serves various snacks as well, which we happily ordered off the menu to feed our stomachs that afternoon. Check out some of the snacks we had as photographed below. Personally, I loved the Calamari Rings and the Cheese Hot Dogs as they were really savoury and filled up our stomachs really well. The fries were normal, and the Sesame Glutinous Balls were good as well, but nothing to shout about. The prices were pretty reasonable for an afternoon tea party or just a short drink to catch up with friends. Located among the many food outlets in SS2, do drop by UFO Desserts should you find yourself craving for some iced desserts. hey, what does the almond cream for? to dip the snacks? 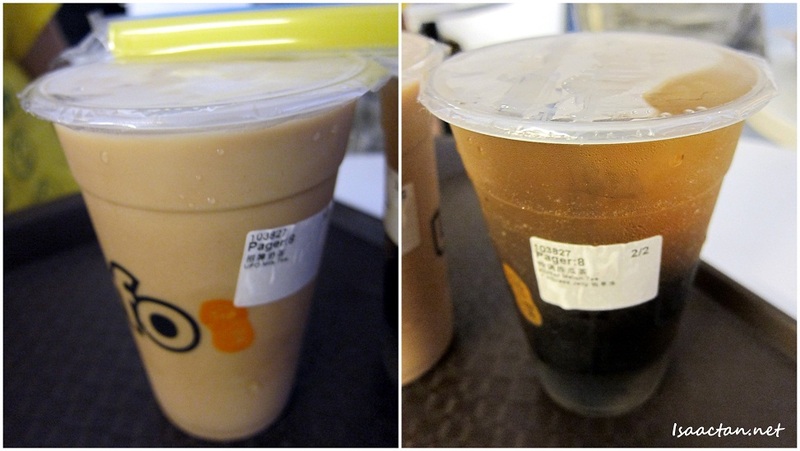 errr, so this is another Snowflake+Chatime+(maybe)Little Taiwan?? hahaha.. why is taiwanese snack suddenly so popular recently huh?? and yet i've not tried any of them, muahahahaha!!! No, thankinsee you. Went to Snowflake...and once is more than enough. Oops! *thank you... Dunno what happened. LOL!!! haha, yup i know, you comment that every time there is a desserts post. And recently i've been doing so many of those posts. lol! Bro, pinjam your photos to blog ah. Many many thank you! A long way to go for me before I post my review on UFO lol. Too many pending posts. The flavored seaweed fries looks delicious. I am amazed with their unique ordering tag that vibrates when your delightful dish is ready. The place looks good and very compelling. I love their UFO dessert sets. They look delicious. I wish I could visit this place soon.